There are “paraphrases”, “versions” and “translations” of the Bible. This is not meant to be an exhaustive and perfect coverage of this very serious topic, but rather a quick and easy summary to be helpful. Generally speaking a “version” of the Bible is taken from previous translations. They do not go back and translate from ancient manuscripts of the scriptures, but reword it. This increases the possibility of errors and can involve their own personal beliefs. There are many websites that reveal the perversions of many of the scriptures in these books. A “translation” is the product of going back to very old manuscripts of the scriptures and literally translating them again, word for word or thought for thought. Translations are produced by a group of people carefully chosen for their expertise, with the goal of being checks and balances with the main emphasis on accuracy and preserving the truth. Those doing this make every effort to accurately translate the original meaning into our language, leaving their own personal beliefs out. This is our best option to obtain God’s truth. Bibles most renowned for their accuracy and readability are the New American Standard, New King James and the Amplified Bibles. I recommend reading the same passage from more than one translation to help you in your understanding. You can buy a “parallel” Bible that has four translations in one book. When you open the book, you see four vertical columns, one for each of four translations of the same text. This makes it very quick and easy to read several translations of the same passage. Not all stores will carry a Parallel Bible with the exact four translations you want in it. Most Christian book stores are happy to special order for you and don’t charge extra for it. Keep looking and you’ll find it! A word for those who have been taught that the King James Version is the only true/acceptable version of the Bible. King James is undeniably beautiful to read and other than having “transliterated” (instead of “translated”) the word “baptizo” into “baptize” out of fear that a true translation of “immerse” would get them killed by King James who had commissioned the translation and had only been sprinkled, it is basically doctrinally sound. However many words used in it are so antiquated today that when we read them, we do not fully understand their meanings, as readers of that time would have. It is important that we understand what we are reading. There is nothing extra “holy” about “thee’s and thou’s”. It would do you no good to read from an original manuscript (unless you are fluent in those ancient languages). It will do you less good trying to gain insight reading a translation like King James who’s words have lost their full meanings, than if you read a reliable translation in more current vocabulary along with it. New King James preserves the beauty of King James, but is much more readable. 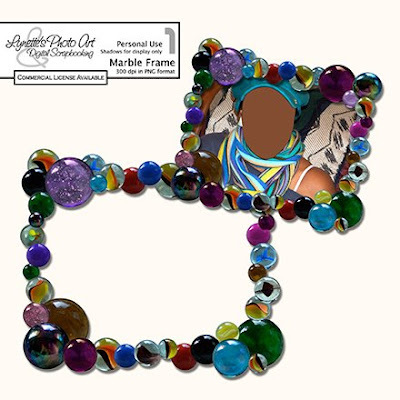 Today's freebie is a Rectangular Frame I made from my Marbles (at the bottom of the post). Yesterday I gave you the Oval Marble Frame. This preview below is to remind you of other marble gifts I've given you that are still available in the archives in the left column if you have missed them! nice frame , thank you ! Thank you so much for this Freebie. 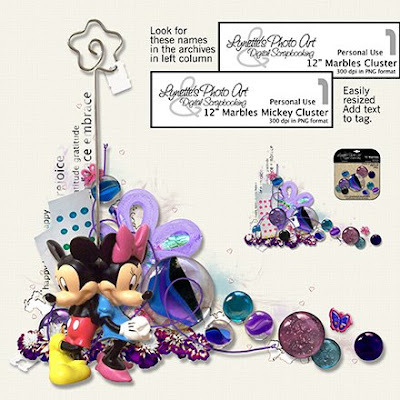 I want to let you know that I posted a link to your blog in Creative Busy Hands Scrapbook Freebies Search List, under the Elements Only, Papers Only post on Mar. 16, 2009. Thanks again.